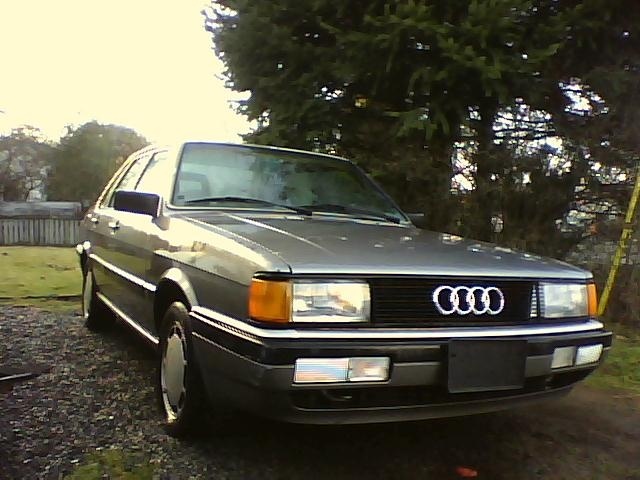 Have you driven a 1987 Audi 4000? Displaying all 4 1987 Audi 4000 reviews. 1987 Audi 4000 S — This car was, at one point, very awesome. Years of normal wear and tear, however, have caused a considerable drop in performance. This car is very enjoyable on the daily commute. Interior is still in great condition. Handles quite nicely, fun to drive on snow/ wet roads. Breaking leaves something to be desired. Still has some get-up-and-go when needed. Gets about 18 mpg city, 22 hyw. Has needed repairs since i have owned it, including: new ball joints, new axles, hood release cable, shifter cable. All of these are understandable with a 200,000+ mile car. All in all, still love it, even though it needs some engine repairs. Cons: Minescule power, breaking could be better. One Very Cool Car — This car was basically the S4 of its time (before audi came out with the S4 in the US). 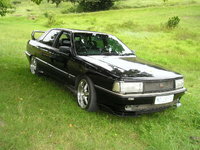 It had a 2.2 litre 5 cylinder engine with a 5 speed gearbox and switchable AWD. It was definitly a blast to drive and really showed off german engineering for being a 1987. As you can see from the pictures, the interior had a very cool sporty look, with the expensive and fine taste of a luxury car. The AWD system had a knob and status screen that showed the different levels of AWD. It went from 0 (regular AWD), to 1 (locking front differential), to 2 (locking both front and rear differential) which had amazing grip/traction capability. The car was build very tough (not like the newer cars that are made cheaper and will break if you beat them). It was a great adrenaline rush to have the quattro locked on (in position 2) and rev the motor to high hell (7000 rpms) and just let go of the clutch! The car would take off like a bat out of hell! Pros: AWD, 5 speed trans, 5 cylinder engine, nice luxurious interior, above average handling and braking. Cons: Hard to work on/expensive to fix.